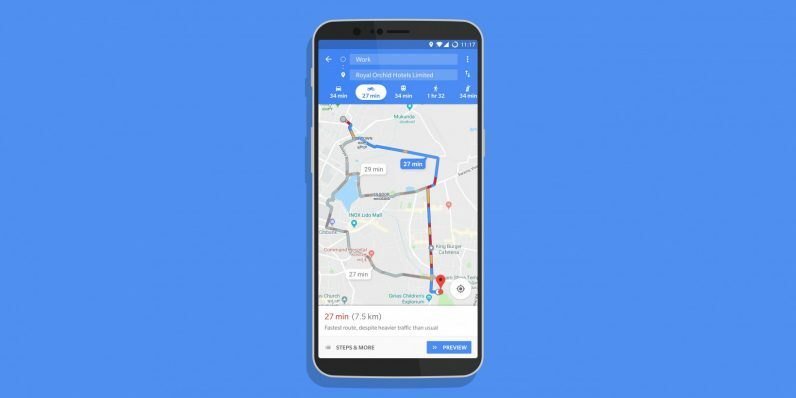 If you’re on a bicycle or motorcycle, it’s easier to maneuver through traffic than with a car – and now, Google Maps has finally caught on to the idea. The service now displays routes specifically tailored for two-wheelers when you look up destinations around you. The new feature appears to be rolling out initially in India, and I got a chance to check it out here. You can access it by searching for a destination, and then tapping the motorcycle icon in the row of transport mode options. You’ll need the latest version of Google Maps on Android – v.9.67.1 to be precise – to try two-wheeler mode. Hopefully, it’ll roll out to other countries that face traffic congestion and support large numbers of motorbikes. Google is slated to announce a few updates to its ‘Google for India’ initiative today, so we’ll soon learn if this feature is designed only for the country.